I have ever desired your authority to be set forth, ever been careful of honour and surety; both for now and for evermore, ever glad to please you, as ever was gentle wife to please her husband, and honest man his master I was. Paget clearly had strong feelings for his friendship with Edward Seymour. Where some might read an intimate relationship between the men, others like historian Suzannah Lipscomb see Paget comparing their relationship to that of a master and servant and also between spouses. 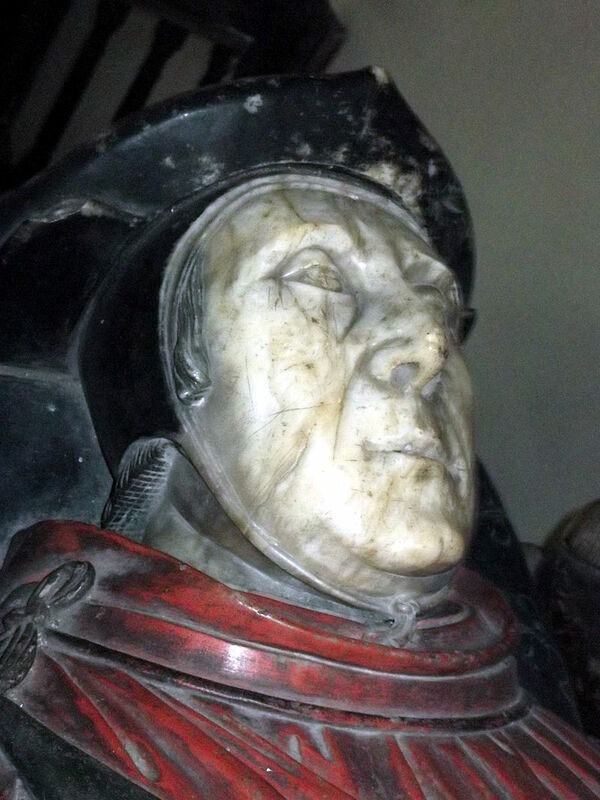 It would not take long after the accession of Edward VI for William Paget to discover, his close friend and Lord Protector would not see through his end of their earlier promise made at Westminster. In the will of Henry VIII, he formed a regency council of sixteen men, men who he trusted to keep his best interests in mind during the minority of King Edward. The late king’s wish was to have a council to make decisions instead of one person. 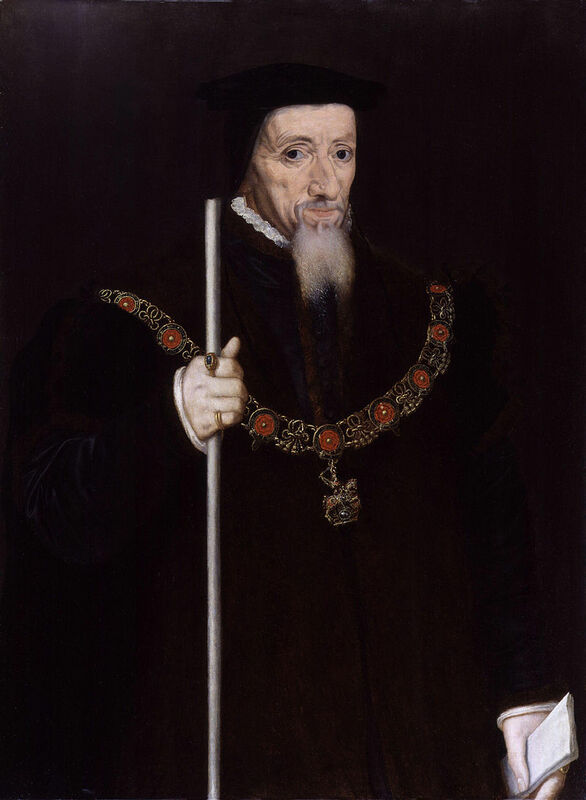 Henry had formed a Privy Council in 1540 and felt that the group of men had proved an effective executive body to the King – for this reason he believe a regency could would be better than say a Regent. At some point after Henry submitted his final will (30 December 1546) and the death of Henry VIII (28 January 1547), Edward Seymour recognized the council needed a leader. As Paget and Seymour whispered in the gallery of Westminster they agreed that they were to move forward to have Seymour named Lord Protector. Paget in turn would be, because of his loyalty and friendship, would be his greatest advisor. The result being Seymour and Paget would be the two most powerful men in England. But before they could get that far they would need to find allies within the council. Speaking of the king’s mortality was treason and punishable by death, so those near him who knew he was about to die were too afraid of the dying King’s temper to prepare him for death. The only man brave enough was Sir Anthony Denny. Denny tread lightly around the topic to ask the King if he wished a priest to come give him his last rites. King Henry said, “If I had any, it should be Dr. Cranmer but I will first take a little sleep. And then, as I feel myself, I will advise [you] upon the matter.”² Those were the last known words of King Henry VIII. Not long after that incident he died. After the death of Henry VIII it was imperative for Seymour to respond immediately to the death of the king, and within hours he left with Sir Anthony Browne (named as a member of the regency council), who was master of the horse, and a force of 300 mounted troops to retrieve the new king from Hertford Caslte³. They traveled twenty-five miles by horse to reach him. One can imagine them riding as fast as they could – they needed to get to the new king first. …communing with my Lord’s Grace [Browne] in the garden at Enfield, at the King’s Majesty’s coming from Hertford, gave his frank consent [in] communication in discourse of the State, that his Grace should be Protector, thinking it (as indeed it was) both the surest kind of government and most fit for that Commonwealth. 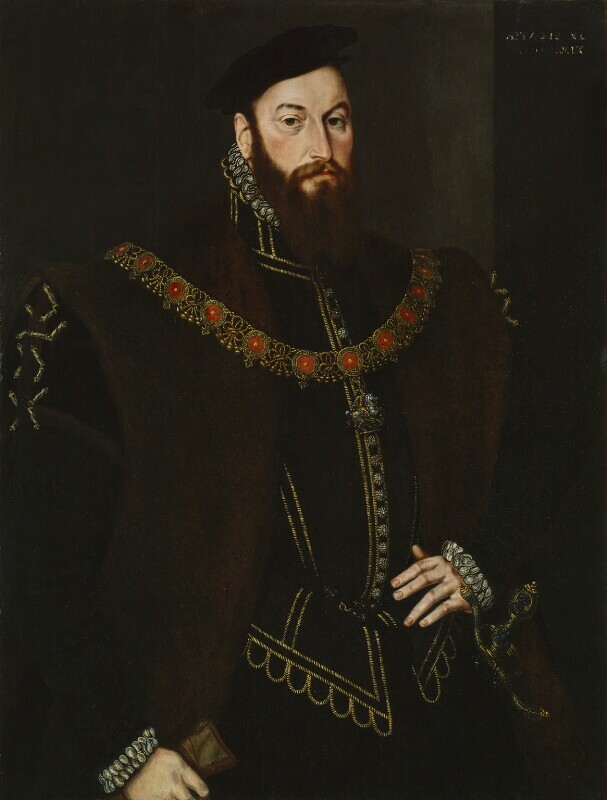 Edward Seymour now had William Paget and Anthony Browne in his corner – champions to assist in making him Lord Protector. While Seymour was with Edward (and possibly Elizabeth as well), he received an urgent letter from William Paget at one or two in the morning on the 29th of January. 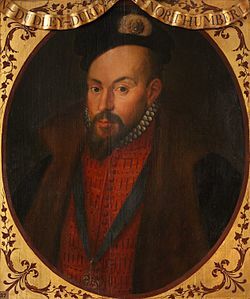 Neither men had been sleeping well and Paget was especially having a difficult time – Edward Seymour had locked Henry VIII’s will in a box and had accidentally taken the key with him. Where the will was, the power was. With Seymour away Paget needed immediate access to the most powerful document in England. With access to the will, Paget would now be able to have the contents revealed as to who the members of the regency council would be and the executors of the late king’s will. Seymour showed his leadership skills when on the 30th of January he wrote the Council to discuss their idea of a general royal pardon. In the letter he advises them to wait until the coronation of King Edward. If they waited, Edward, as the new king would be looked favorably upon. Your lordships shall understand that I the Earl of Hertford have received your letter concerning a pardon to be granted in such form as in the schedule ye have sent, and that ye desire to know our opinions therein. For answer thereunto, ye shall understand we be in some doubt whether our power be sufficient to answer unto the King’s Majesty that now is, when it shall please him to call us to account for the same. And in case we have authority so to do it, in our opinions the time will serve much better at the Coronation than at this present. For if it should be now granted, his Highness can show no such gratuity unto his subjects when the time is most proper for the same; and his father, who we doubt not be in heaven, having no need thereof, shall take the praise and thank from him that hath more need thereof than be. We do very well like your device for the matter; marry, we would wish it to be done when the time serveth most proper for the same. We intended the King’s Majesty shall be a horseback tomorrow by 11 o’clock, so that by 3 we trust his Grace shall be at the Tower. So, if ye have not already advertised my Lady Anne of Cleves of the King’s death, it shall be well done ye send some express person for the same. And so,with our right hearty commendations, we bid you farewell. From Enfield this Sunday night, at a 11 o’clock. On the 31st of January, the Commons were sent to the House of Lords. A grief-stricken Lord Chancellor, Thomas Writholsey, called upon William Paget, Secretary of State to read to Parliament the parts of Henry’s will that pertained to the succession as well as who was named on the regency council. That afternoon, the new regency council met – however, three members were missing from the first meeting. Dr. Nicholas Wotton was absent due to his residence at French court, his brother Sir Edward Wotton was in Calais and Sir Thomas Bromley was not present. In their first council meeting, they all (those present) agreed that Henry’s will instructed them to have “full power and authority”. After reading the late king’s will, they “fully resolved and agreed with one voice and content…to stand to and maintain the said last will and testament of our said master.” The council decided that one special man should be preferred to be their leader. This man should be of “virtue, wisdom and experience” on to be a “special remembrancer”4 and one good at management. They renamed themselves the “Privy Council” with Edward Seymour as it’s head5. After Paget’s speech had concluded the council believed him wholeheartedly. Master Secretary, perchance some folks allege considerations concerning the not assignment (had been vacant since 1499 after the death of Edward Plantagenet) of the lordship of Warwick, saying it is a stately castle, and a goodly park, and a great royalty. To that it may be answered – the castle of itself is not able to lodge a good baron with his train; for all the one side of the said castle, with also the dungeon tower, is clearly ruinated and down to the ground; and that of late the King’s Majesty that dead is, hath sold all the chief and principal manors that belonged unto the said earldom and castle; so that at this present there is no lands belonging unto it, but the rents of certain houses in the town, and certain meadows with the park of Wegenock. Of the which castle with the park, and also of the town, I am Constable, High Steward, and Master of the Game, with also th’herbage of the park during my life; and because of the name, I am the more desirous to have the thing; and also I come of one of the daughter and heirs of the right and not defiled line. I will rebate part of my fees in my portion, to have the same castle, meadows, and park; wherein I pray you to show me your friendship, to move the rest of my lords to this effect: and further to be friendly to Mr. Denny, according to his desire for the site and remains of Waltham, with certain other farms adjoining unto Jeston; wherein, as for the site of Waltham, I suppose it shall grow to a commonwealth to the country thereabouts to let him have it. And in case that they will not condescend to me for the lordship of Warwick, as is aforesaid, I pray you then let me have Tunbridge and Penshurst, that was the Buckingham’s lands in Kent, as parcel of my portion, with also Hawlden, that was my own; and, whether I have the one or the other, let Canonbury be our portion. The Master of the Horse would gladly, as I do perceive him, have the lordship in Sussex that was the Lord Laware’s; which in my opinion were better bestowed upon him, or some such as would keep it up, and serve the King in the country in maintaining of household, than to let it fall to ruin as it doth, with divers other like houses; being a great pity, and loss it will be at length to the King and realm. 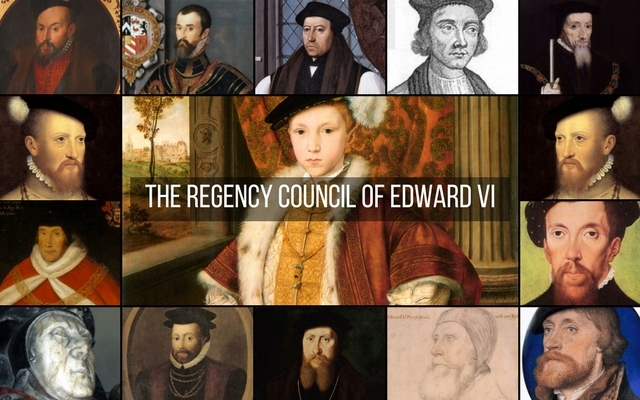 So, anyway, this article wasn’t supposed to be all about what happened after the death of Henry VIII, but I felt like I needed to set the scene for when I get to my next part – listing the sixteen men who were named to Edward VI’s regency council. So, with that being said, let’s look at the men who were supposed to make the decisions for a nation. 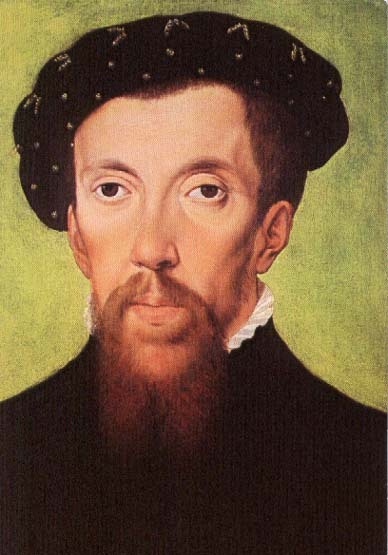 Were they indeed the trust men of King Henry VIII or were they believers in Edward Seymour? This might be hard to believe, but a couple of weeks ago was the first time I have ever really paid any attention detailed list of the sixteen men on Edward’s regency council. To be completely honest, I had not been all that interested in them before now. That is, until I came upon “A General History of the Lives, Trials, and Executions of all the Royal and Noble Personages”. This book covers the those who had been found guilty of high treason and other crimes from the accession of Henry VIII and on. It may seem obvious that I came across this book while doing more research on Thomas Seymour. There are many other men mentioned in this book as well, like: Thomas More, Bishop Fisher and the Duke of Buckingham, to name a few. When I initially read the list in “A General History of the Lives, Trials, and Executions of all the Royal and Noble Personages” I became overwhelmed with the idea of finding out who each of these men were, where they came from and how they interacted with the other council members. That’s what I’m doing with this post. Paget, North, Bromley, Montagu, Paulet, Seymour, Denny, Wriothesley, Russell, Dudley, Tunstall, Browne, Herbert, Wotton, Wotton & Cranmer. 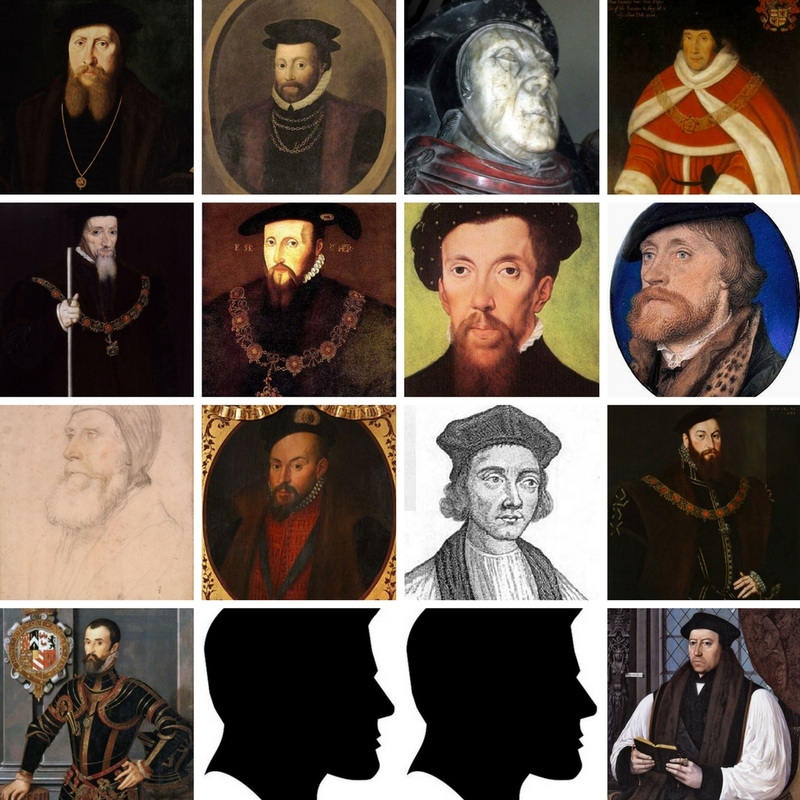 With these men in place, in his will, Henry VIII instructed that “none of them shall do anything appointed by this Will alone, but only with the written consent of the majority.” This group of sixteen men who made up the regency council did not take long before deciding (by majority) that one of them should be the leader. This position, and title of Lord Protector was given to the King’s eldest uncle, Edward Seymour, followed by the title, Duke of Somerset. The dukedom was a late addition to the late king’s will. 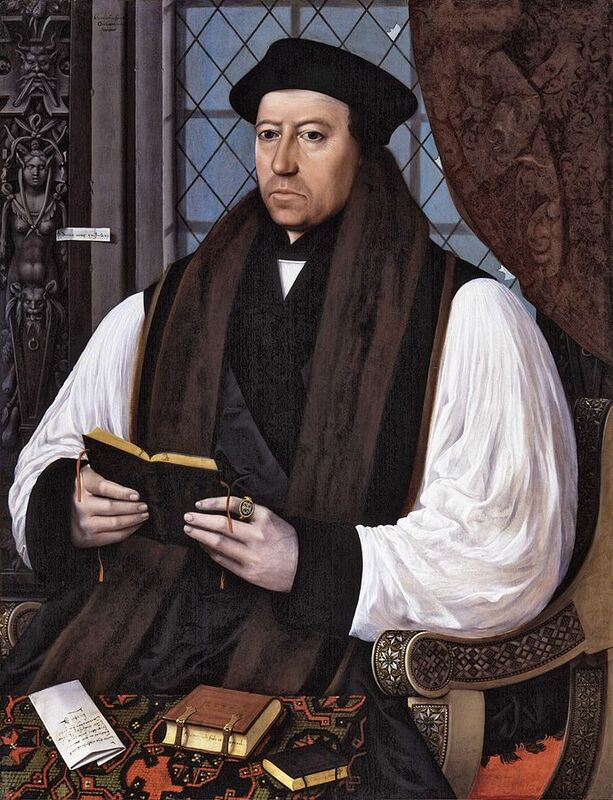 Thomas Cranmer is probably known best as the man who helped change religion in England. It was Cranmer who had a close relationship with the Boleyn family and on the day of Anne’s execution said, ‘She who has been the Queen of England upon earth will today become a Queen in heaven.’ So great was his grief that he could say nothing more, and then he burst into tears. Cranmer definitely owed his rise in favor to Anne and the Boleyns, and after her execution must have felt broken and lost. It also does not surprise me that he was named one of the members of the regency council by Henry VIII – the King definitely had faith in Cranmer. In his position on the regency council, with Somerset at the head, Cranmer would have been happy to move forward with the reformation. Thomas Wriothesley studied civil law at St. Paul’s School, London and Trinity Hall in Cambridge. He studied under Stephen Gardiner. In 1524, Wriothesly was employed Cardinal Wolsey and it was in that service that he met Thomas Cromwell. 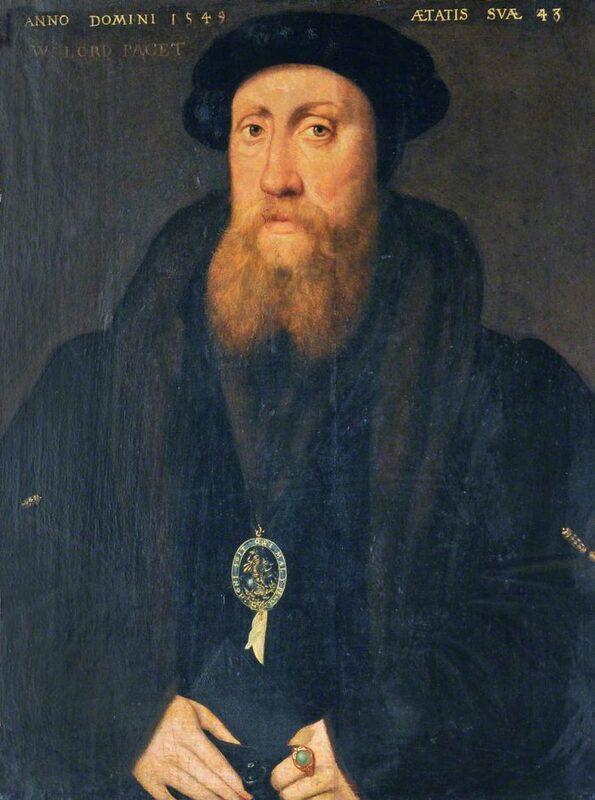 Nine years later Thomas Wriothesley would be in the service of Thomas Cromwell. I’ve read bits and pieces about Wriothesley but never put two and two together about how important of a figure he was at Tudor court. On the 16th of February 1547, Wriothesley was given the title: 1st Earl of Southampton, upon the request of the late King Henry. Wriothesley had been one of the councillors who were against making Edward Seymour the Lord Protector. Wriothesley did not believe one man should rule the country – Henry’s will specifically stated that it should be a group of chosen men. Lord St. John was what William Paulet styled himself as from 1539-1550. Paulet was raised in peerage to Baron St. John of Basing in 1539. He was Comptroller of the King’s Household. Paulet also turned against Somerset in 1549 in support of John Dudley. St. John supported the reformation but refrained from politics. That being said, he was one of the sixteen men on the king’s regency council. St. John was named treasurer of the household in 1537 and then chamberlain in 1543, followed by great master of the household in 1545. Then in 1546 he was named as lord president of the Privy Council. 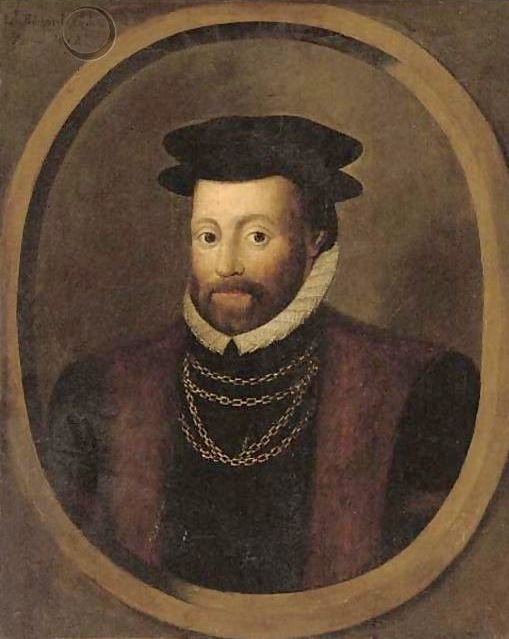 Edward Seymour was the eldest uncle of King Edward VI. After the death of Henry VIII he voted by the regency council to be named Lord Protector of the Realm. It was in that position that Edward Seymour would experience the most dangerous experiences of his life. Without the approval and backing of the regency council, Edward was alone. Collection of Marquess of Bath, Longleat House, Wiltshire. John Russell served four of the Tudor monarchs. Then in 1509, Russell was employed in various military and diplomatic missions during the War of the League of Cambrai. 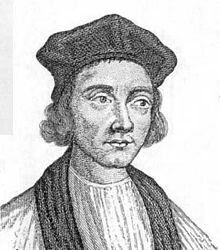 He had many years of experience at court and had accompanied Mary Tudor, the king’s sister, to France in 1514 for her marriage to King Louis XII. Sir John was named Lord Privy Seal by Henry VIII after the execution of Thomas Cromwell who held the title prior to his death. John Dudley was the son of the ill-fated financial minister, Edmund Dudley. If you recall from a previous episode Edmund Dudley and his counterpart, Robert Empson were executed at the beginning of Henry VIII’s reign. The men had been extremely unpopular during the reign of Henry VII due to all the taxes that were being subjected to the English subjects. By executing them it brought favor to the new Tudor king. 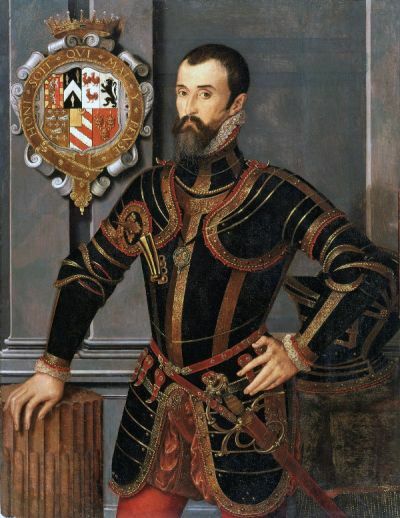 Dudley was well-connected at court and in the late 1530’s he was made governor of Calais and in 1542 he was created Viscount Lisle and Lord High Admiral, a position he held until he voluntarily renounced his position so it could be given to Sir Thomas Seymour. He then held the role again after the execution of Seymour until 1550. In my opinion, Dudley was one of the most ruthless men at Tudor court, he would do whatever it took to get what he wanted. It has always been my believe that he was the one who stirred up trouble between the Seymour brothers and he was also instrumental in the downfall of them both. Dudley took advantage of the dying King Edward VI and (also in my opinion) convinced him to name his new daughter-in-law as his heir. This is the funny thing about researching the Tudor era. There are so many interesting “characters” to learn about that sometimes, over the years of researching, our opinions of them can change. It’s possible that one day I’ll discover he wasn’t as despicable as I once suspected, but right now he ranks right up there for me with Anne Stanhope, wife of Edward Seymour, Lord Protector. Of all the men listed as members of the regency council, Bishop Tonstall of Durham is the one I know the least about. I’ll do my best to give you the information that I DO have on him. Serving Henry VIII, Edward VI, Mary I and Elizabeth I, Tonstall’s career at court was a long one. In 1511, William Warham, Archbishop of Canterbury, made Tunstall his chancellor. A few years later he was running diplomatic missions abroad for King Henry and Wolsey. Then in 1516 he was made Mast of the Rolls, an office which he held for six years and would on occasion acted as the Keeper of the Privy Seal. Seven years later he then became Lord Keeper of the Privy Seal. 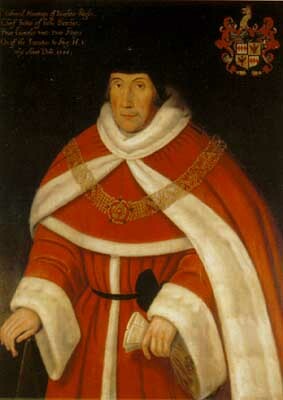 After the downfall of Cardinal Thomas Wolsey in 1530, Tunstall succeeded him as Bishop of Durham, which involved Tunstall having significant power within the territory of the diocese. In 1537, Tonstall became President of the new Council of the North. Although he was often engaged preoccupied with ongoing negotiations with Scotland, he had time to attend Parliament and participated in the discussion of the the Bill of Six Articles. So…as you can tell, Tunstall was a man on the rise at court and clearly had favor with the King, which is a little surprising because he was one of the men (along with Bishop Fisher and Thomas More) that represented Katherine of Aragon during the divorce proceedings. Tunstall spared himself from execution by playing the part. Even if he didn’t agree with what was going on he understood that it would do him no good to follow Fisher and More. Another man close to the king and other members at court was Sir Anthony Browne. Browne’s half-brother was the William Fitzwilliam, Earl of Southampton, and the men had shared a mother. It is believed that Browne, born around 1500, was at court from an early age and was probably raised in the royal household – you see, his father was a standard-bearer to King Henry VII. Browne’s service to the King began in the year 1518 and by the following year he was made gentleman of the privy chamber, a position kept him near the King. Because of this position Browne became one of the King’s close circle of friends that were called his “minions”. Another man who was part of this group of friends was Sir Francis Bryan, the Vicar from Hell. Over the years Browne favor with the King continued to grow and grow. He was knighted in 1520 by Thomas Howard, Earl of Surrey (future Duke of Norfolk) for his service against the French. He was appointed lieutenant of the Isle of Man and then in 1527 served the King as ambassador to France. It is believed to be Browne’s sister, Elizabeth Somerset, Countess of Worcester was the person who provided the testimony to build the charges of adultery against Anne Boleyn. While it appears that Browne supported Henry in the downfall of Anne Boleyn in 1536, he also briefly fell from favor that year when he showed his support to returning the Lady Mary to the succession. 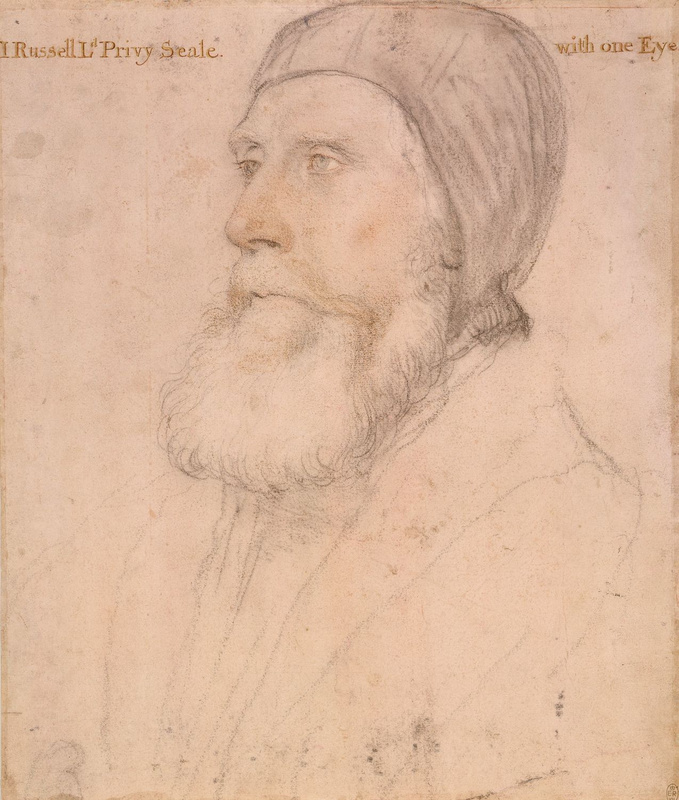 Sir Anthony Browne assisted Edward Seymour in the French wars in the 1540s when they were successful and securing England’s coastal defences. Browne was returned to favor and continued to serve the King until his last day. In his will, King Henry VIII named Browne an executor to the King’s will and member of the regency council. Unfortunately I was unable to find anymore information on Sir Edward Montagu at this time. Puisne Justice of the King’s Bench11 and he was absent from the meeting where the council voted to make Edward Seymour, Lord Hertford as Lord Protector of the Realm. I was unfortunately unable to find more information on Bromley. The beginning of the new reign saw North made a Privy Councillor and reappointed to the chancellorship, but he was soon to be antagonized by the Protector Somerset who in August 1548 connived at his being eased out of his office in favour of Richard Sackville II. This act was to cost the Protector dear, for in the coup d’état against him a year later North was one of the first to join the dissident Councillors in London and to sign the letter listing the Protector’s offences. We’ve talked quite a bit about him already, so here is a portrait of him for you to gaze at. In the final years of Henry VIII’s life, Sir Anthony Denny was his chief gentleman of the privy chamber (& groom of the stool). He and the King were constantly together. Denny was also a co-keeper of the king’s dry stamp in 1546 and the use of that stamp is what has history buffs wondering if it may have been misused. Denny was with King Henry in France and was knighted at Boulogne and the King even trusted Denny to his privy purse. A few days after Henry VIII’s death Herbert, Paget and Denny informed the council that they had “remembered” more things that were their late King’s wishes. Like….these things were so important that it escaped the King’s mind at the time he made up his will. 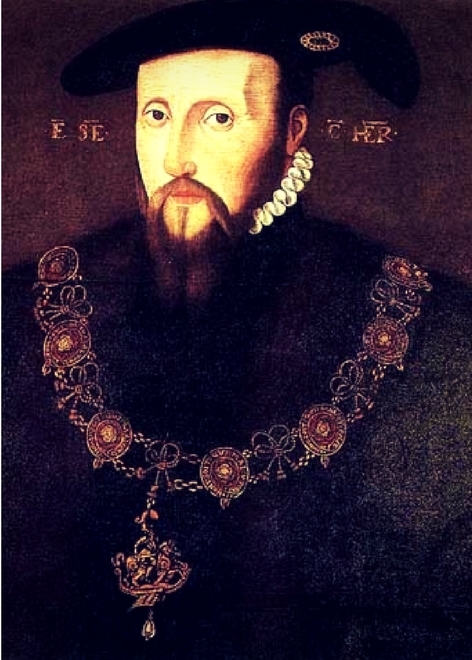 Because of their flood of memory, Edward Seymour became Duke of Somerset, William Parr became Marquisate of Northampton, John Dudley became Earl of Warwick and Thomas Wriothesley became Earl of Southampton. Edward Wotton’s duties in Calais prevented his frequent attendance at the council board and so he was probably a non-factor when it came to votes by the council. 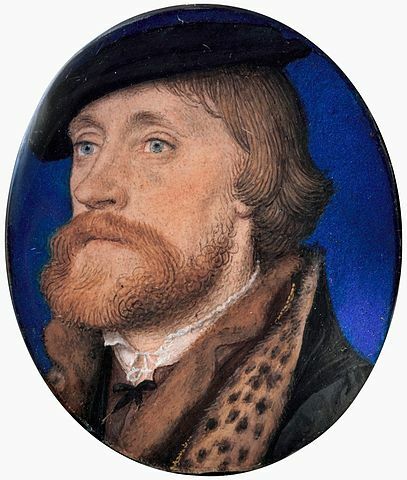 Nicholas Wotton was one of the men charged with going to Cleves and getting a glimpse of Anne of Cleves for King Henry. But in that mission he failed miserably and ‘complained that he could not see her face beneath her voluminous headdress'(15). Acts of the Privy Council of England Volume 2, 1547-1550. Originally published by Her Majesty’s Stationery Office, London, 1890. England Under the Reigns of Edward VI. and Mary, With the Contemporary History of Europe, Illustrated in a Series of Original Letters Never Before Printed : with Historical Introductions and Biographical and Cirtical Notes ; in Two Volumes – Patrick Fraser Tytler. Hutchinson, Robert. “The Last Days of Henry VIII”. Lipscomb, Suzannah. “The King is Dead”. Wagner, John A., Susan Walter Schmid. “Encyclopedia of Tudor England”.